A family vacation is one of the best ways to spend quality time with each other, plus it does the mind good. Here’s how to plan one the whole family will love. We’ve talked at length about the importance of spending quality time with the family. It builds strong bonds, fosters confidence in our children, and is great for our emotional wellbeing. 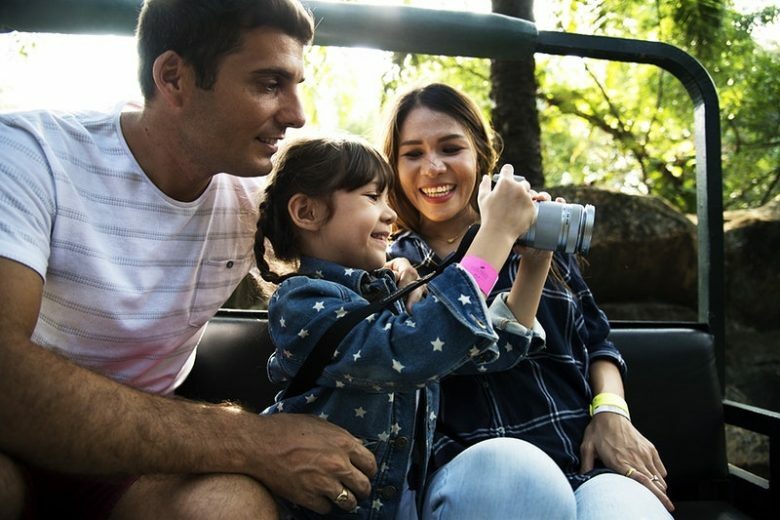 What better way to make lasting memories than with a family vacation? The idea sounds more romantic on paper than it may in actual execution. Whether you’re a mum who works from home or at the office, scheduling time off can always be a challenge. Couple that with budgeting, choosing the right destination, packing all the essentials, and baby-proofing your vacation, and suddenly planning a trip sounds more like a nightmare than a dream. Don’t let the fear of being overwhelmed stand between your family’s proper getaway. 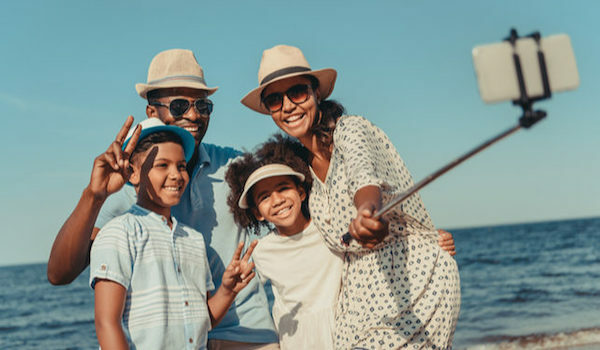 Read through these five tips on how to plan a vacation the whole family will love—without the stressful headache! Depending on the age of your children, you’ll definitely want to plan a family vacation around the school calendar. Winter breaks, summer vacations, and three-day weekends will be your best bet to avoid missing school days, but be prepared to pay the premium for these peak travel times. You’ll save the most money if you can fly out mid-week during the off-season, so balance your calendar accordingly. Once you have a time frame in mind, set a budget—and stick to it. It might not be practical to plan a trip to one of the best European beaches… but if it is, more power to you. For most working families, a road trip might be more appropriate. Flights are drastically more expensive than cars and trains, so choose your destination and method of transportation carefully. Perhaps an all-inclusive cruise strikes the perfect middle ground. No “Are we there yet?” complaints during long-distance rides and no screaming children at 30,000 feet altitude. The Disney Cruise Lineoffers tons of vacation packages geared towards families, so you will know exactly what price to pay per person. The place you choose depends on the time of year you’re traveling and the available budget you have to work with. As nice as an annual vacation to Hawaii sounds, it might not be realistic to your bank account. Don’t go for grandeur; remember, the memories are more important than luxurious amenities. Why not consider going camping just outside of town, getting off the grid, and helping everyone reconnect over s’mores and bonfires? Keep the age of your children in mind when it comes to sleeping arrangements. If you’re traveling with a young baby, a travel crib is a must. Older children can get away with sleeping bags or cots, but remember that the quality of their sleep goes hand in hand with your sanity level! Before showing up at your campsite or hotel, do a little research to see what activities are available for you and the family to get into. If you do go the camping route, the rangers might host wild life or stargazing courses. Perhaps you can take the family out on an expedition to identify different plant species or play in the tide pools with hands-on sea creatures. Your kids are sure to love anything that combines learning with a fun adventure. If you’re not into camping (or upscale glamping!) and prefer to stay in a hotel, make sure they offer some kid-friendly activities that can give you some alone time. Look out for lifeguards, kid clubs, and arcade games when comparing different hotels—it’s the best way to score some one on one time while the children are playing and having supervised fun. If your hotel doesn’t offer kid-friendly activities, look into babysitters in the area who can make a date night a possibility. The dates are set, the tickets are booked, and now the only thing left to do is pack and prepare. You’ll read endless advice on how to pack for a vacation when travelling with small children… so much advice, in fact, that you could wind up packing way too much, including everything but the kitchen sink. Check out this list on what not to pack on your next vacation; you already have enough to carry, tacking on heavy, over-sized luggage is the last thing you want.